Rahul Gandhi's attack comes in the wake of a media report that claimed the price per Rafale aircraft that the government agreed in 2016 with French company Dassault for 36 fighters is 40 per cent higher than what Dassault had offered in 2012. 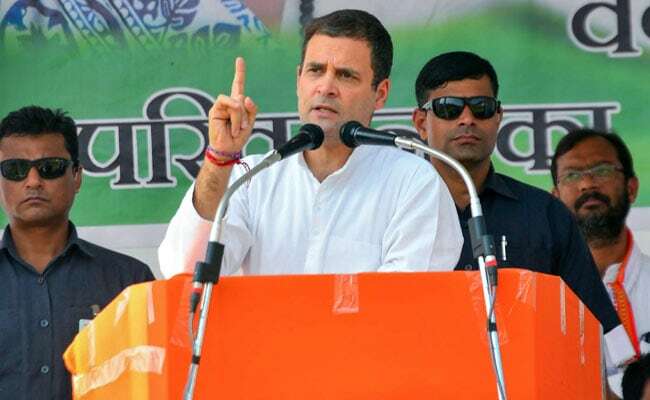 Continuing his attack on Prime Minister Narendra Modi, Congress President Rahul Gandhi on Saturday took a dig at him, saying the price of the Rafale aircraft was a "national secret" as the government was not even willing to reveal it in the Supreme Court. "The PM knows. Anil Ambani knows. Hollande and Macron know. Every journalist now knows. Defence Ministry babus know. All of Dassault knows. All Dassault's competitors know. But the price of the Rafale is a national secret that cannot be revealed even to the Supreme Court," Mr Gandhi tweeted sarcastically. Quoting two senior defence ministry sources, who were directly involved in contract negotiations with Dassault from 2012 onwards, the report in Business Standard claimed that Dassault's winning bid amounted to euro 19.5 billion for 126 Rafale fighters. This amounted to euro 155 million per aircraft, while 36 Rafale aircraft were contracted at euro 7.85 billion which is equivalent to euro 217 million per aircraft -- 40 per cent higher than the earlier contract.